When I was growing up I loved reading popular science, and some of my favorite popular science books were about mathematics and mathematicians. Although there were scores of interesting volumes, the following ten especially inspired and entertained greatly. 1. Gödel, Escher, Bach: An Eternal Golden Braid by Douglas Hofstadter: Mesmerizing. The kind of book which seems otherworldly when you first encounter it. It introduces you to so many profound human and mathematical creations: impossible drawings, undecidable propositions, Bach's fugues. Gödel, Turing, Achilles and the Tortoise…great figures abound in this narrative. Even if you don’t understand everything you know you are part of something special. Gödel’s theorem is one of the greatest intellectual achievements in human history, and Hofstadter tells it well (the best account of it for laymen, however, is Nagel and Newman’s “Gödel’s Proof”). A feast all around. 2. 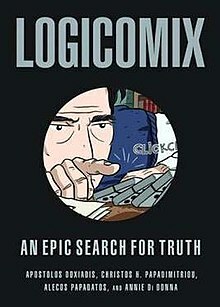 Logicomix: An epic search for Truth by Apostolos Doxiadis and Christos Papadimitriou: A delightful animated exposition of Bertrand Russell and his search for mathematical truth. Does a great job bringing out Russell's passion, his madness, his personal indiscretions. The exaggerated drawings of mathematicians and philosophers like Wittgenstein and Frege as well as Russell’s fears and dreams add to the delight. 3. The Man Who Loved Only Numbers: The Story of Paul Erdos and the Search for Mathematical Truth by Paul Hoffman: There was nobody as obsessed with mathematics as the Hungarian mathematician Paul Erdos. Unmarried, traveling around the world, this math fanatic would randomly knock on mathematicians' doors, asking them if "their mind was open." The book is filled with choice anecdotes of Erdos installing himself unannounced in people's houses and almost forcing them to do math 24/7. These collaborations led him to be the most prolific mathematician since Euler, publishing almost a thousand papers. A singular personality, and Hoffman tells his story so well. 4. The Man Who Knew Infinity by Robert Kanigel: Another singular personality about whom much is now known, partly thanks to the recent movie. Ramanujan belongs to the category of people like Einstein, Newton and von Neumann in being a true genius. His collaboration with Hardy is one of the great human relationships of all time. 5. Fermat's Enigma by Simon Singh: Another example of a mathematical obsession. Fermat's Last Theorem unsuccessfully challenged some of the great minds in science since its cryptic conception: Gauss, Riemann, John Nash, Heisenberg. All failed to solve it until Andrew Weil worked on it for fifteen years without telling anyone about it and announced the proof at a conference that left the world reeling. Singh is really good at explaining the admittedly very abstruse mathematics behind the theorem, and does a great job describing the follies and triumphs of the trails of mathematicians trying out their hand at Fermat. 6. Prime Obsession: Bernhard Riemann and the Greatest Unsolved Problem in Mathematics by John Derbyshire: Derbyshire does for the Riemann hypothesis what Singh does for Fermat. Another great journey through both history and math, culminating in a great puzzle which challenged the finest minds of the field and which still awaits resolution. 7. A Beautiful Mind by Sylvia Nasar: John Nash's mind was a maelstrom of tragedy and triumph. Before the movie came out few people had heard of him, but Sylvia Nasar is brilliant at telling us the story of both his great achievements in economics and pure mathematics (which ironically are considered even more important than his work in game theory) as well as his frightening and sad slide into mental illness followed by an almost miraculous - albeit partial - recovery. 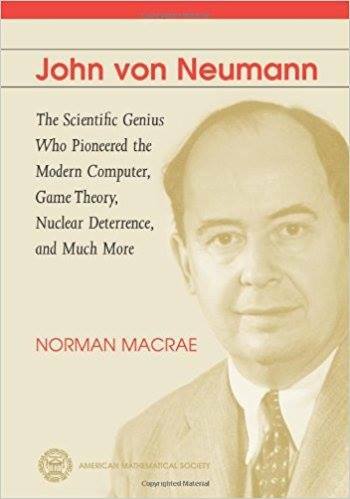 Nasar also does an outstanding job describing the post-war mathematical milieu which was in part driven by the exigencies of the Cold War as well as the colorful characters around Nash and their intense competition with each other. A truly beautiful book. 8. One Two Three . . . Infinity: Facts and Speculations of Science by George Gamow: Just like it did many teenagers, this book delighted and completely gripped my attention when I read it. Gamow was a highly creative scientist and a joker, and both these qualities shine in this wonderful volume. Cheeky, irreverent Gamow takes us through a slew of amazing ideas in science including mathematics, atomic physics and genetics. But it is the first chapter saying that one can compare two different infinities that blew my mind and keeps it blown wide open to this day. I haven’t come across a more mentally stimulating and simply astounding idea than the one about countable and uncountable infinities. 9. What is the Name of This Book? by Raymond Smullyan: As much a logic puzzle book as a math book, the riddles in this volume are utterly entrancing. Similar to Martin Gardner, the bearded, wizardlike Smullyan lays before us a smattering of treats in math and logic. The puzzles set up simple premises and then get diabolical and delightful: for instance one extended piece sets up an island of knights and knaves, one of whom always lies and the other always tells the truth. From this premise follow tons of interesting questions, some of which are quite thorny (and I certainly cannot claim I have solved most of them). The coup de grace is a meeting with Dracula whose existence or lack thereof you are supposed to ascertain through a series of logical questions. Brain fun beyond measure. 10. What is Mathematics? by Richard Courant and Herbert Robbins: A classic book with a preface by Einstein, leading the readers through scores of important mathematical ideas, theorems, proofs and analyses. What I love about the book is the diversity of topics: topology, analysis, geometry, number theory, combinatorics and calculus all receive their dues, and the appendices are filled with summaries of interesting and unsolved problems like the Goldbach Conjecture. A solid, serious journey through key concepts of mathematics. 11. (Bonus) Men of Mathematics by Eric Temple Bell: This book, first published in 1937, is known to have started many famous mathematicians like John Nash and Freeman Dyson on their chosen path. 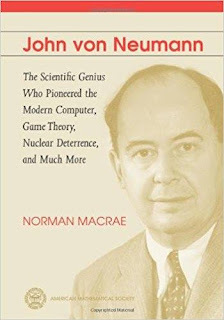 While it did not lead me to any such paradise, I thoroughly enjoyed reading the extremely vivid descriptions of the lives, times and work of famous mathematicians like Fermat, Galois, Euler, Gauss, Riemann and Abel. Bell presents the lives of these people as heroic and romantic tales. The book is not the most accurate description of their work, but by presenting leading mathematicians as rogues, unscrupulous rascals and romantic idealists, it makes mathematics seem more of a human endeavor than any other book I know. Is our emphasis on lab safety keeping us from doing important science? The physicist Ernest Marsden who discovered the atomic nucleus - admittedly one of the most important scientific discoveries of all time - with Ernest Rutherford and Hans Geiger once said that if modern safety restraints had been applied to their seminal experiment, it might never have worked. I think this provides an interesting commentary on our safety-conscious times. Marsden’s statement would probably apply to many of the pioneering early nuclear discoveries: the neutron, fission, radioactive transmutation. Many of these discoveries hinged on observing rather small effects of nuclear reactions on ionization counters and photographic plates, effects which might not have been observed in the presence of elaborate safety measures. It’s also interesting to note that Enrico Fermi and his team of experimenters in Rome missed discovering nuclear fission in 1934 because they were using shielding (one wonders how different the history of the world might have been had he discovered it then). Not enough was known about the biological effects of radiation at that point, so the purpose of the shielding was not safety; nonetheless it underscores how using shielding equipment for safety might keep someone from making a key scientific discovery. These days a lot of science experiments including home chemistry sets are dumbed down because of safety concerns. 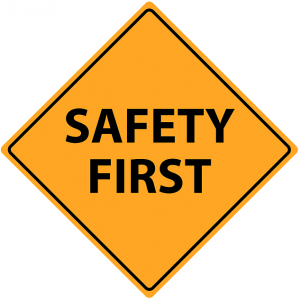 Safety is also an overriding concern in professional academic and industrial laboratories. 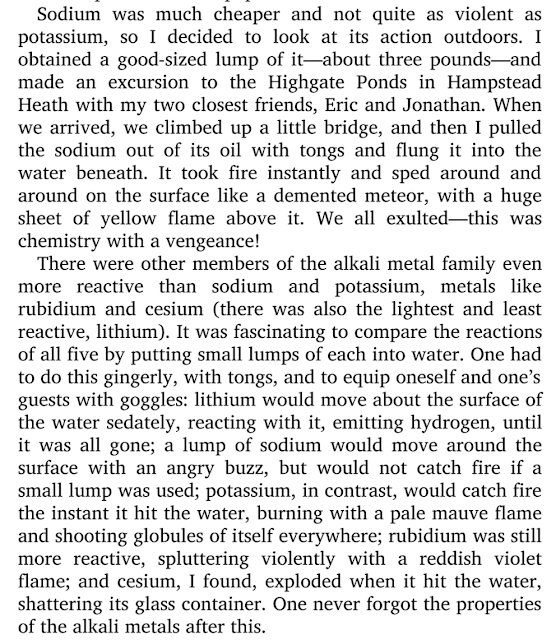 When I was eleven my mom gifted me a chemistry set containing chemicals which would be unthinkable today: copper sulfate, potassium ferrocyanide, ammonium nitrate. Earlier sets even had sodium and magnesium. 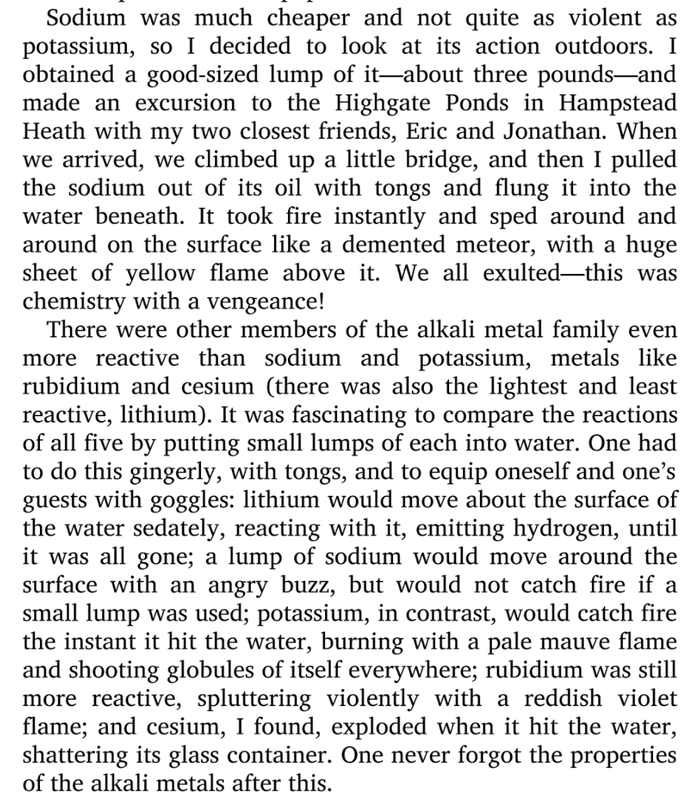 In his book "Uncle Tungsten", Oliver Sacks talked about how he unforgettably learnt about the differences in reactivity between the alkali metals (sodium through cesium) by literally dropping a pound of each into a pond. In fact it's worth reprinting his experience here because it's so memorably described. The last statement is worth remembering: there is no better way to learn an important scientific principle than through a vivid demonstration. My chemistry set taught me important science and was fun. I did not poison anyone or blow myself up. These days chemical sets are radically dumbed down. Some of them are absurdly advertised as “chemical free”. Not only are these sets less exciting, but they might also be less instructive in enabling discovery. I am not saying that laboratory safety should be deprioritized; too many recent tragic accidents have emphasized how important it is. What I am saying is that we should be constantly trying to strike a balance between safety and discovery, and more importantly should be asking whether our safety equipment and policies might be hindering us from observing important phenomena. We should be asking questions like the following: is there some effect which might be hidden by the specifics of the safety equipment we are using (magnetic, electrical, “steric” etc.)? If we suspect that this might be the case, can we think of alternative experiments that might bypass the limitations of the original experiments and reveal previously unobserved effects? Is the safety equipment so all-pervasive that it’s becoming a part of the experiment itself, so to speak? One of the best parts of science is that it’s an adventure. Adventures benefit from seeking out new phenomena that nobody has observed before, and there’s inevitably an element of risk involved in this endeavor. Everyone has to be mindful of safety when conducting experiments, but it’s always worth asking: is the emphasis on safety a part of the problem?